When Mark introduces his date, Julia, to Chloe and her husband at a London restaurant, it's obvious something is wrong. Alex and Julia pretend not to know each other, but the shocked expressions on their faces tell another story. As the mystery of Julia's identity unravels, a terrible tragedy from ten years ago gradually comes to light. While Chloe struggles with a secret of her own, Alex has to decide whether he should take Julia back to Australia to try to lay the past to rest, when doing so will risk all he has with the wife he loves. And Julia must decide whether to finally confront Alex with the whole truth about what happened back then. 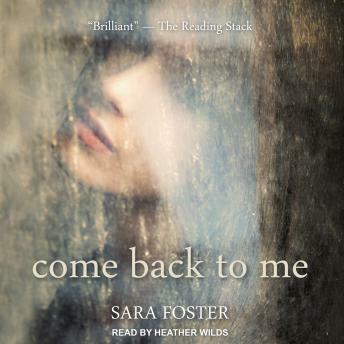 Come Back to Me is a taut psychological drama that will keep you enthralled until the very end.